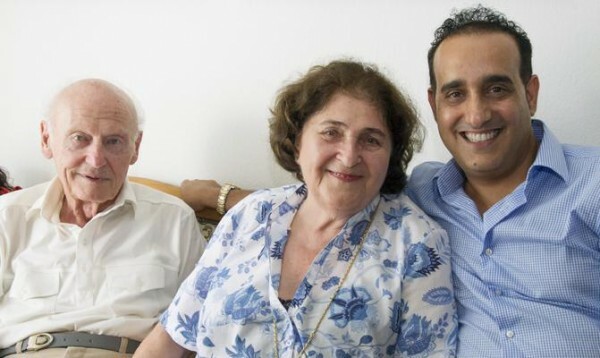 Eran-Shoham Simchi, right, of the Swiss Jewish Welfare Organization (VSJF) in Zurich visits with Holocaust survivors Katharina and Erwin Hardy. Katharina receives an Article 2 Fund pension as well as homecare, and they both receive medical care, dental care and transportation. Elderly Holocaust survivors around the world have more care and aid than ever before. Tens of thousands of Holocaust survivors also go into this year having received payments from Germany for the first time. In recent years, the Claims Conference has reached new agreements with the German government that have increased payments to survivors and added social services. President Julius Berman outlined these gains in a Report to the Community. In 2015, the Claims Conference distributed about $490 million in direct payments to 106,000 Holocaust survivors in 80 countries and territories. First-time payments to 48,000 victims were approved. Many child survivors lost their youth to the horror of the Holocaust. Some were separated from parents they never saw again. The new Child Survivor Fund pays these Holocaust victims for the first time. The fund makes one-time €2,500 payments to Jewish survivors born January 1, 1928 or later, who were in a concentration camp, ghetto, or lived at least six months in hiding or under false identity. Survivors in 81 countries and territories received application forms. Payments began in 2015 and are continuing. For 2016, the Claims Conference is funding $375 million in aid to Holocaust victims in 47 countries. Through our network of partner agencies, we provide homecare, food, medicine, transportation and emergency financial help to more than 130,000 survivors. Homecare, which allows elderly survivors to continue living in their own homes, has increased substantially after the Claims Conference pressed Germany to increase its funding for this vital need. As Holocaust survivors age, Claims Conference support has become even more important in helping every Jewish Holocaust victim live out his or her years in dignity and comfort.